You’ve seen the hit TV show – and now we’re adding our own local spin to finding top talent. And we're looking for local talent. 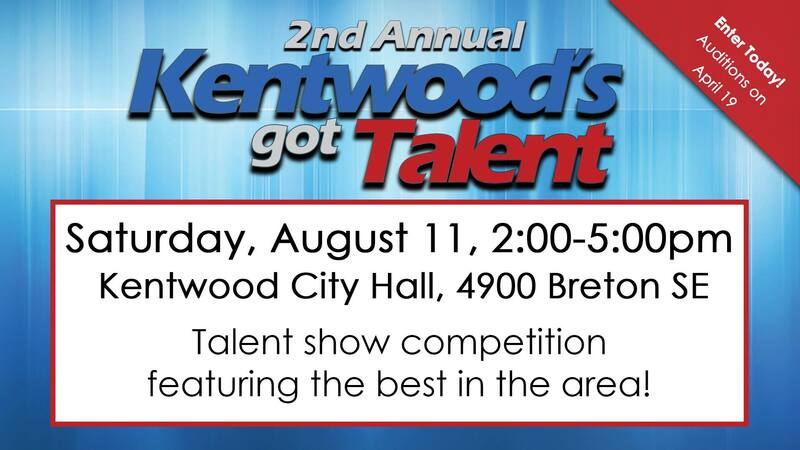 If you're a singer, dancer, comedian or have something special you want West Michigan to see, we want you to audition! Auditions take place at the Kentwood Library Community Room on Thursday, April 19 from 6 p.m. to 8 p.m.
To participate, complete and return application before April 13. Call 616.656.5270 with questions or email info@kentwood.us.